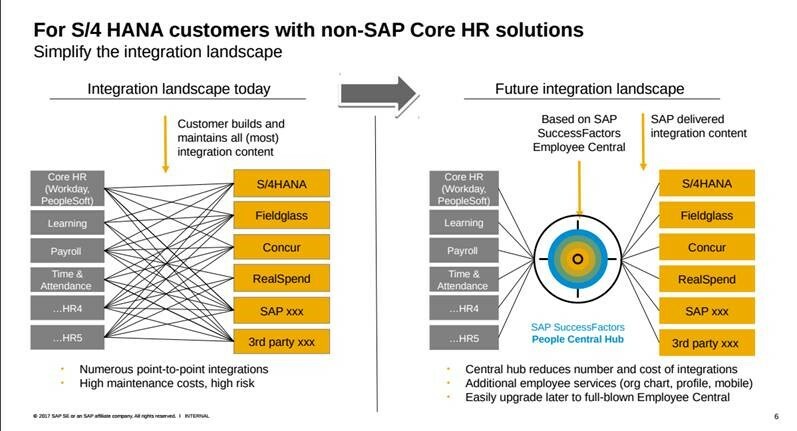 Before all the yearly wrap-ups start to publish, I want to update you on the many innovations we have delivered in our Core HR Q4 SAP SuccessFactors release. I will provide some context and visuals around all of the major innovations which become available in November. Let’s start with visualizing and maintaining the organizational structures. Users can now create a new object directly via the side panel. Very useful when defining the structures! For Workflow we now released functionality that many customers have been waiting for, and personally I find this very exciting. It is now possible to send out a tailored and meaningful workflow e-mail for every workflow. And only when needed. You can bind in all specific Employee Central fields to personalize the text based on the context of the workflow. And you can also make the workflow specific to the role the workflow actor has. this means that managers can receive different information, then e.g. employees or HR. Our local product managers have updated the application so that you can benefit from predefined fields, business rules and reports to be compliant when running operations in those countries. Beyond a whole range of country specific updates to already supported countries, in this release we continued our expansion with 5 new country versions for Iceland, Estonia, Latvia, Lithuania and Luxembourg – increasing the total number to 89. And to run payroll in line with country regulations our local product managers now released EC Payroll functionality to support eSocial in Brazil, Civil ID and Passport Information for Oman, Emirates ID for UAE, Sponsor ID for Oman, Qatar and Saudi Arabia, Dependents Data for Venezuela and Spain as well as Contract Elements for Argentina and Italy. In the area of benefits, you can benefit from new functionality to add workflows to benefit carts. 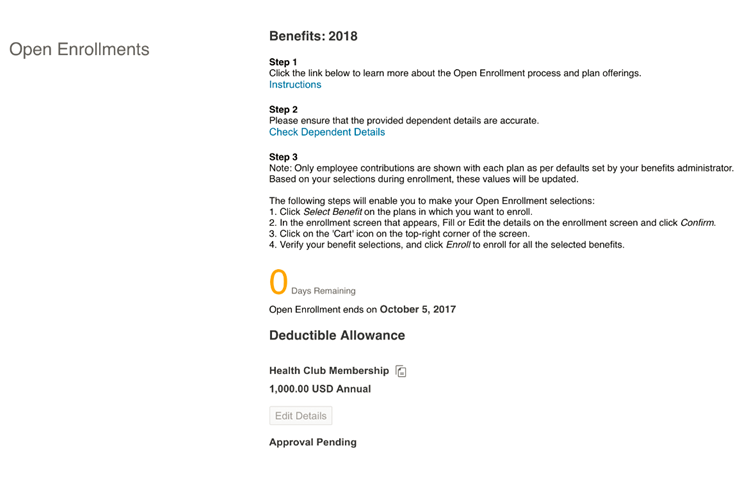 We have also made it possible to configure the enrollment effective from-date in a variety of ways: as of next month, as of next pay period, from the event date, or click date. You can use these configurations to use the correct starting date for benefits. 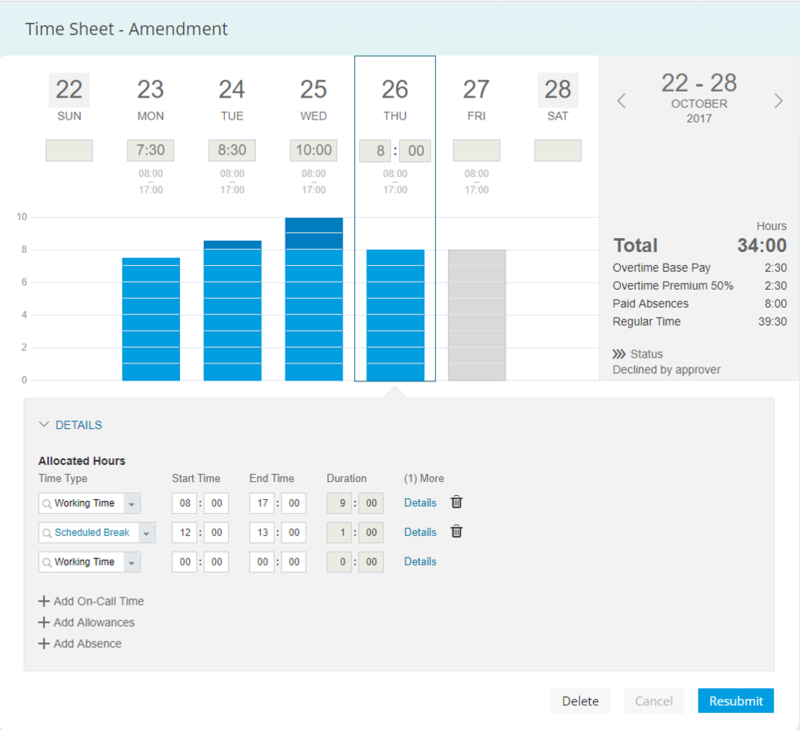 In this release we have three major enhancements for Time and Attendance management. Secondly, we improved our Time Collectors functionality which we initially released in Q3. The Time Collector functionality massively improves the complexity we can handle in our real-time time-evaluation because we can now do calculations on e.g. weekly, monthly and yearly basis. In this Q4 release we have made the framework more robust and we now provide Time Administrators insight in those counters when they need it. This will help the time administrators to get a detailed understanding of time-evaluation details per employee and they are now able to use this information when needed. So they can now figure out who worked how many night shifts in a given month, or how many overtime hours have been recorded in a certain period. This greatly improves the usability and speeds to up the implementation timelines. In our efforts to create a seamless user experience across Employee Central and Employee Central Payroll we now released alerting functionality for payroll administrators to ensure correct payroll processing in case of events like address change or termination. 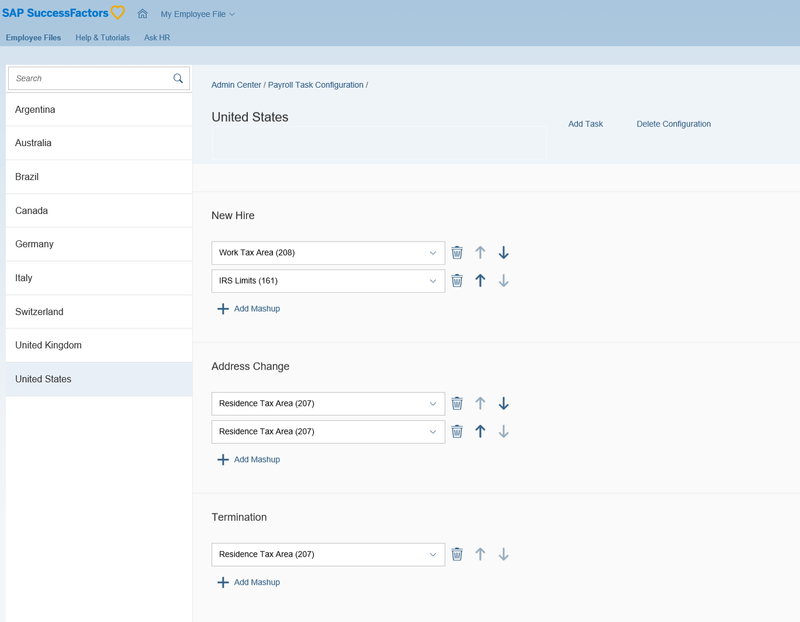 This shows the new user-friendly UI for configuring Payroll Tasks related to Hiring, Address Change and Termination of employees, which as you see can be setup per country. As you can see all needed follow-ups steps are completely available via the Payroll Control Center. 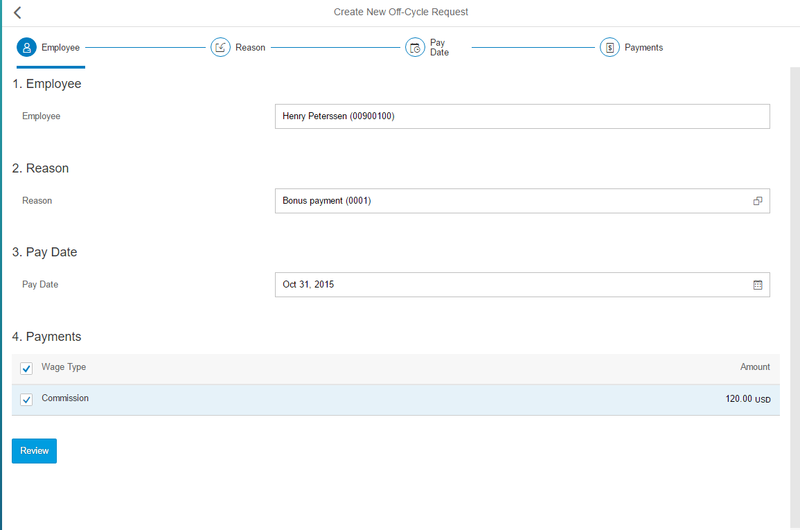 In Q4 we have also released our communication of cost centers between S/4HANA Cloud and Employee Central Payroll, and the payroll results are directly posted to the finance part of SAP S/4HANA Cloud. Integrating collaboration activities directly in HR processes is highly beneficial in many use cases so we now allow contingent workers (stored in the contingent worker profile) to utilize the collaboration groups which are setup specifically for their role in the organization directly in SAP JAM. This allows them to collaborate immediately with all people in the organization, directly when they get on board. Secondly, based on customer feedback around country regulations, we have released functionality to make the contingent worker profile country dependent. This release includes the ability to bring the term ‘Ask HR’ in line with any term used in your organization to improve the usability of the application. In addition, we provide enhancements to the tickets overview page, which allows your users to find tickets quicker and to keep up to date with the ticket status more easily. We have also increased the number of translations for EC Service Center by adding Chinese (Simplified), Romanian, Japanese, Finnish, Arabic, French (Canadian) and Portuguese (Brazil). We have improved our Business Integration Builder (a.k.a. 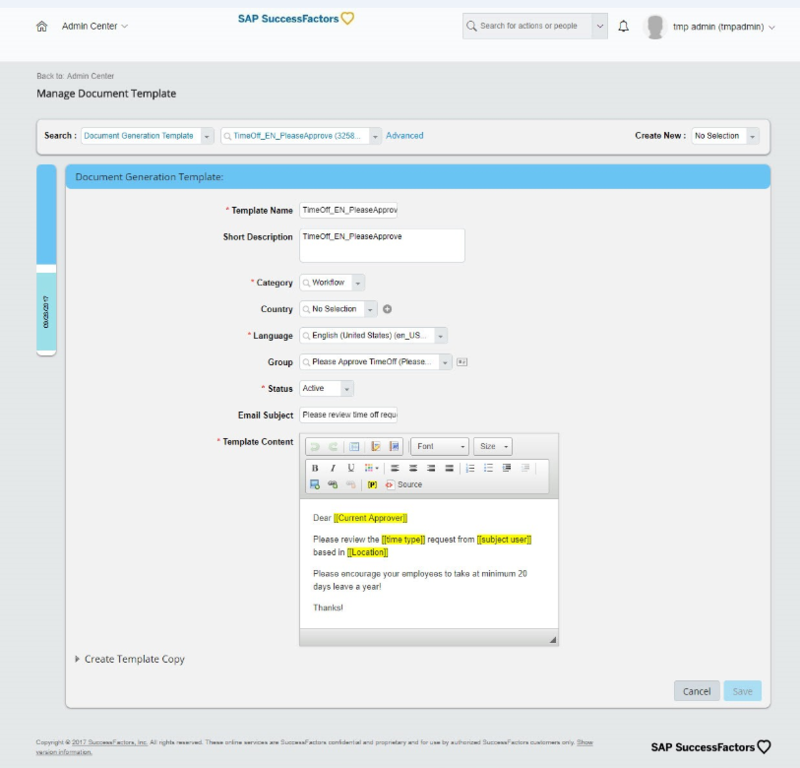 Infoporter) capabilities to secure smooth migration of SAP HCM data to Employee Central, and afterwards potentially a simple integration from Employee Central to SAP ERP for e.g. payroll purposes. You can now perform the organizational objects migration/integration in parallel jobs using the job scheduler. This means that the performance for these OM object migrations can be increased massively. Up to now, this way of performance improvement was only available for the employee data migration/integration. In addition, progress monitoring is available. And we have released sample content for Organizational Management. Another ground-breaking innovation is the SAP SuccessFactors People Central Hub. This is relevant for all customers who do not run Employee Central yet. It enables customers to connect SAP solutions such as SAP S/4HANA, S/4HANA Cloud, or SAP Fieldglass. It allows the consolidation of HR master data from various sources and it can immediately visualize who works where in the organization, and it allows all users to easily look up people’s contact details. And I want to close with something really compelling! To accelerate implementation, you can now deploy SAP Best-Practices directly via the Upgrade Center. The Employee Central Best-Practice contains preconfigured HR processes, position management, total workforce management, integration and localized content for time off and time. You can e.g. benefit from prefilled holiday calendars, work schedules, time account types, absence types and accrual rules. The best-practice is currently available for Australia, France, Germany, Saudi Arabia, United Arab Emirates, United Kingdom and the USA. Check out more information and some screenshots here: https://blogs.sap.com/2017/09/11/deploy-country-specific-successfactors-configuration-with-a-few-mouse-clicks-free-of-charge/. 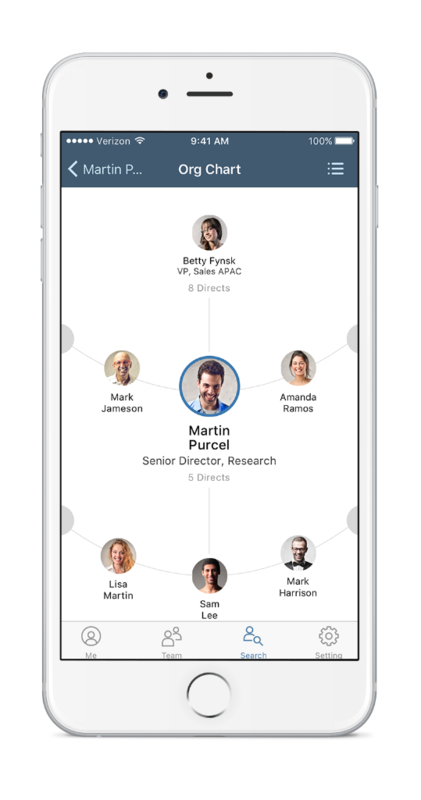 Learn about other new features and enhancements across the full SAP SuccessFactors HCM Suite by reading our Q4 2017 Release Highlights document, checking the Q4 blog, or by viewing our Q4 2017 release video on YouTube.